I'm a happily married wife and stay at home mum to Caitlyn & Zach and we live in a small town on the south-east coast of England. 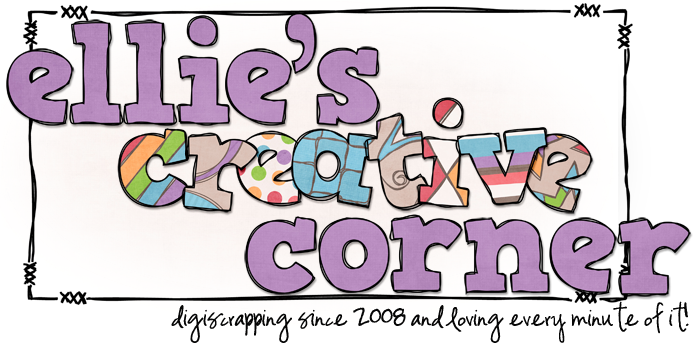 I started digi scrapping in January 2008 after a brief go at paper scrapping in the middle of 2006. The paper scrapping had to end as it was either my scrapping table in our bedroom (we're short on space lol) or Zach's cot! Digital scrapbooking has quickly become my main hobby/passion - it helps me capture my family's memories for me to look back on when I'm old & grey! The Captivating Sistas have joined Rachel to celebrate her birthday this week! If you haven’t seen all the fun and games visit this post on Rachels blog Here! Her store is still on sale for 30% off until May 29th, and the freebie links to the ‘This Is Me’ Alpha on her blog and the ‘This Is Me’ Papers on her Facebook fan page are still active until Sunday only! Plus a little birdy tells me that if you missed the freebie from the Newsletter on Thursday (‘This Is Me’ Elements), if you sign up by 2pm EST on Sunday May 29th it will be sent out again one final time to all new subscribers so sign up if you haven't already! The 'This Is Me' Full Kit will also be available for sale in the store on June 3rd for everyone else who missed it after these freebies end! Rachel and the Sistas have been creating some pretty awesome stacked papers for you with the This Is Me Kit, you can download all nine papers free by following this fun train!! You can download my portion of this freebie HERE, follow the blog links from the list below to the next freebie, all participating Sistas have been noted in the list so if you’ve got lost or missed a paper check all of the blog links below for the freebies! Don’t forget to check out Rachel’s Sale and enjoy the freebies and leave us some love in the comments while you are here! These Stacked Paper freebies will only be available for thirty days so snap them up while you can! Enjoy your goodies - I hope you like them! Thank you so much for the stacked paper!! Thanks so much for your part of the Blog Train! Thank you - very pretty! Thank you for the awesome stacking paper!!! These papers represent a major shortcut for me when I do my layouts. I really appreciate of kindness in sharing your wonderful talent.